It’s an easy to change visa status in Japan if you understand the right procedure. This article is intended to make you understand the entire process while changing visa status in Japan. There might be the various situation that foreign nationals need to change their visa status to legally stay in Japan. Before jumping into the main procedures, we want to notify you that —- this guideline is not for the those who are trying to change their status to Permanent Resident. There is different procedures for changing your visa status to Permanent Resident. If you are trying to change your visa status to Permanent Resident — you can find the information in this link; OR — you can find the information from the link mention below. If you are trying to change your visa status other than Permanent Resident, then keep on reading. This guideline applies to you. Foreign nationals including the following situations but not limited need to apply for changing visa status in Japan. If you are a student or dependent visa holder and found a full-time work after graduation. Foreign nationals after you married or divorced Japanese nationals. Once if you change your jobs to different category or industry of work. Or, if you are trying to start the business in Japan. Note that it is also possible to change the Tourist Visa (temporary visitor visa) to another type of visa in Japan. For that instance, Certificate of Eligibility (CEO) should be issued within the validity of your temporary visitor visa. 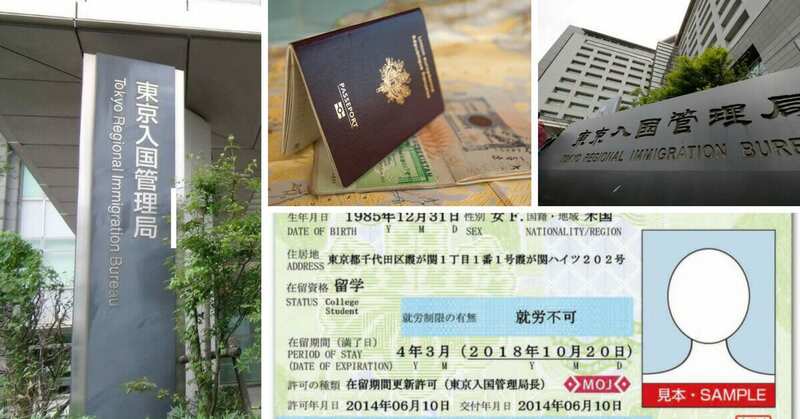 If CEO is not issued, it is not possible to change the temporary visitor visa to another type of visa except if you married to Japanese nationals. The foremost thing that you should understand that — all foreign nationals who are trying to change visa status in Japan should file the application for the change of your visa status at the nearest Immigration Office. Sometimes, if you file the application to change of status of residence just before your current visa expires, you will get the two months extension. In that period your application will be processed, and you will get the result. Find the nearest regional immigration office or immigration information center. It is better to get the documentation information in accordance to your circumstances. Immigration officer or the staff in the information center can guide you through the various additional documentation per your circumstances. Submit the application for change of status of residence with the supporting documents. For the required documents to change visa status in Japan, find the link given below. Accordance to the status that you are trying to change; application form for change of status of residence is different. You should submit the application package at the service counter at the regional immigration office. After two to four weeks of submitting the application for change of status, you will receive residence postcard of change of status in your mail. After you receive the resident postcards of change of status, you need to cancel the stamp of your old visa sticker to obtain the newly updated visa status sticker. You can visit your nearest regional immigration office with your change of status postcard, passport, and other valid identification. This will complete the procedure to change visa status in Japan. After you submit the application, Minister of Justice may grant permission only when he/she finds that there are reasonable grounds to grant the change of status of residence on the strength of your documents. If you have a criminal record, honestly speaking it is very few possibilities that you will get your status changed. The fee for changing the status of residence is 4,000 yen and payment must be made with revenue stamps. If you are not sure how should you fill the application for change of status form, you can visit the nearest regional immigration office or immigration information center. Regional immigration office or immigration information center is open from 9:00 am to 12:00 pm and 1:00pm to 4:00 pm on weekdays. We are not related to any advisory and consulting companies. All the information herein is published in good faith and for general information purpose only and not for providing legal advice. You should contact your attorney to obtain advice with respect to any issue or problem. This content is prepared with reference to the official website of the Japanese Immigration Bureau. You can visit the website of the Japanese Immigration Bureau from the following link.